Working at home is a great way for moms to earn income without leaving their families. Follow this link to find a work at home mom opportunity. Here are some success strategies for moms who work at home. It is easy to become overwhelmed when balancing work, household duties and family. As moms who work at home, we must remember that we are not Super Woman and we cannot do it all. Know why you are working from home. Did you leave the workforce to stay home with your children? Were you a stay at home mom who needed extra income? Is your business a hobby? Knowing why you are doing what you do will help you stay motivated and clarify your goals. Set business goals. Figure out how much money you need to earn and how much time you will have to spend working in order to earn it. Do you want to grow your business into a full time income, or do you just need part-time, supplemental income? Be clear about your objectives and what it will take to reach them. Set personal goals. Make a list of things you need to accomplish at home. Make separate lists for the household, your husband and each one of your children. Create a schedule. Set up a schedule or loose routine that works for your family. Wake up before your children get out of bed to have personal time and work, if possible. Take a break to connect with your children when they wake up, then work a bit more. If afternoons are your most productive periods, spend time on household duties like cooking and cleaning in the mornings. Plan your work schedule around naptimes, quiet times or times your children will be occupied with independent activities. Teach older children to occupy themselves quietly while you are working. Limit your work hours. Work will expand to fill whatever time we give it, so be careful not to let work take over family life. Set limits on how much time you will work based on your family's needs and goals. When your allotted time period is up, stop working for the day. There will always be another task to complete. As Richard Carlson said in his book Don't Sweat the Small Stuff, "Your inbox will never be empty." Get organized. - Declutter your home to make cleaning easy. Create monthly and weekly plans for meals, errands, chores, household duties, work responsibilities, and activities with your children. For some great ideas on getting organized, visit Tips to Organize Life. Set up a home office. Create a work space in an area of your home that is free from distractions and background noise. Make sure this area has good lighting and a comfortable temperature. Stock this area a desk or table, a telephone, a computer, a printer, office supplies and a calendar that is easily visible. Keep your work space neat and uncluttered by spending 5 minutes tidying up at the end of each work day. Work together as a family. Make your work at home business a team effort by working together with your children. Teach your children how to clean up after themselves and help with household chores. Let your children help with small, business-related tasks, when appropriate. By letting your children work along side you, you are teaching them business skills, responsiblity, and commitment to family. Create a support group. Build a support network of family, friends and other work at home moms. If you need someone to care for the children while you work, consider hiring a part-time mother's helper or babysitter. Just say no! Don't feel guilty about saying no to outside commitments and obligations. Use any free time you have to recharge and invest in your family. Right now, home and work should be your main priorities. You will have plenty of time to serve those outside of your home when your chidren are older. 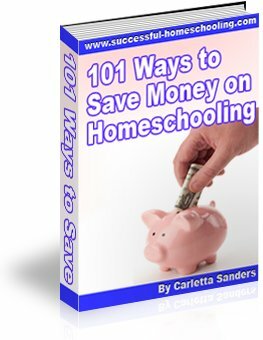 In addition to working and managing the home, some moms who work at home also homeschool their children. Here are some strategies for working and homeschooling.